I spent A LOT of time organizing all the hardware and small parts today. I saw a video by Adam Savage talking about his hardware rig from Sortimo, but those things are very expensive. Further research shows that Harbor Freight has a cheaper copy that should do the job just fine. I ended up buying several of these medium size cases and a few of these larger sized ones. 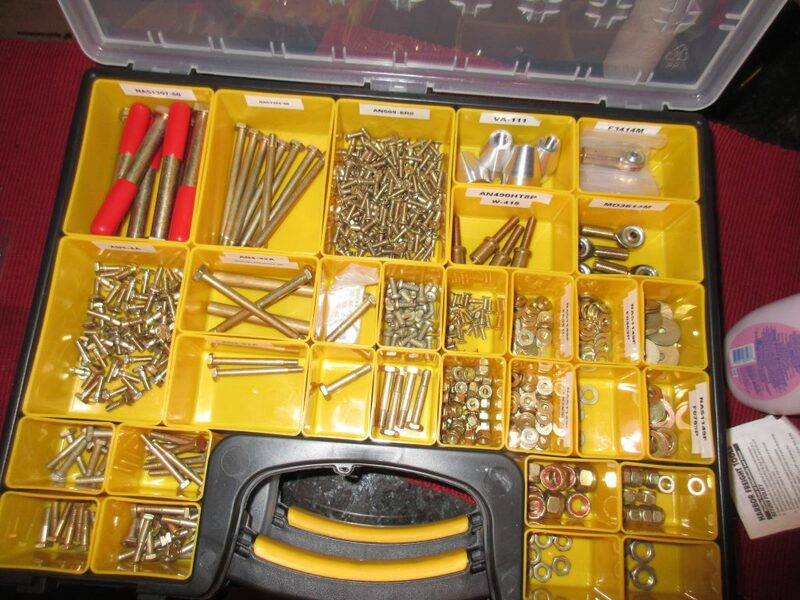 The first step was sorting out all the bolts, nuts and washers. I wanted to put them into the same case since they are typically pulled for use at the same time. 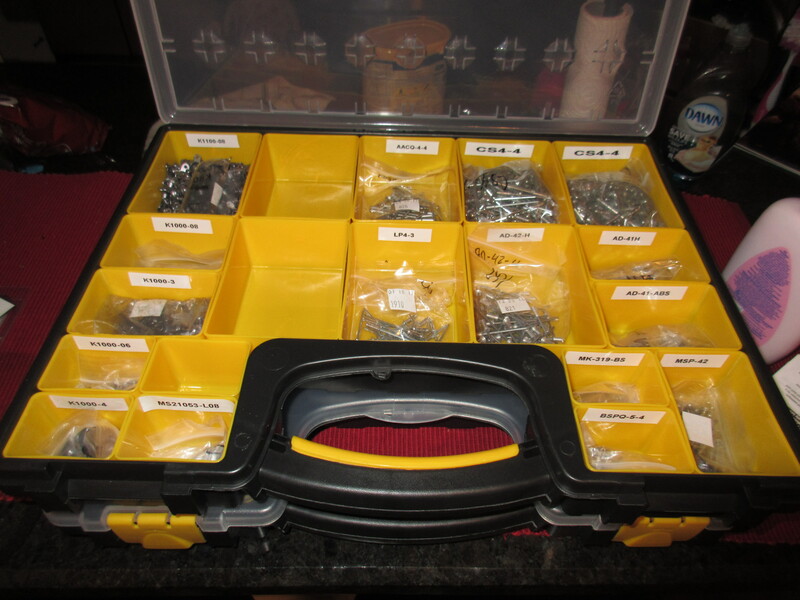 I was actually able to fit all of the nuts, bolts, washers, screws and some other bits into one case! In another medium case, I stuck all the nutplates and blind rivets. I ended up keeping them in their plastic baggies, to help them from migrating into each other. 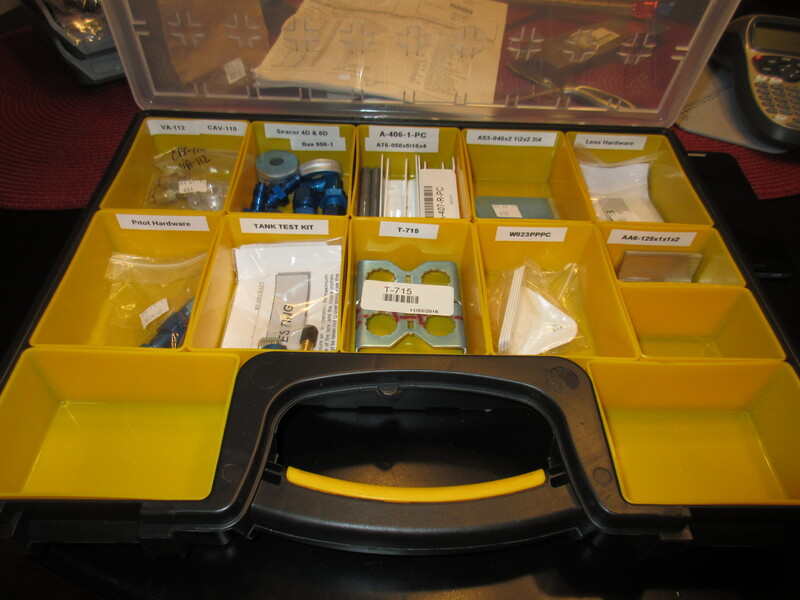 I am going to purchase some little baggies for my nut and bolt case for this same reason. 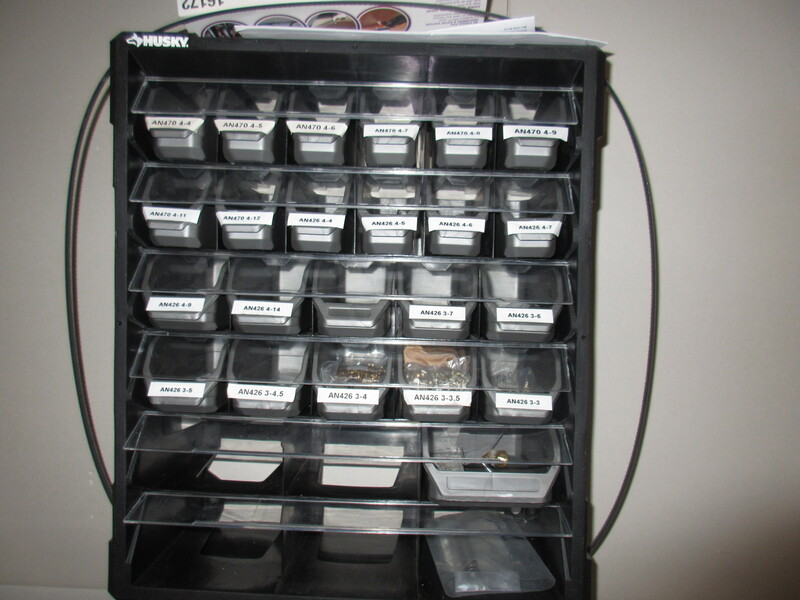 The cases do a decent job of keeping stuff separate, but those little thin washers are hard to control! 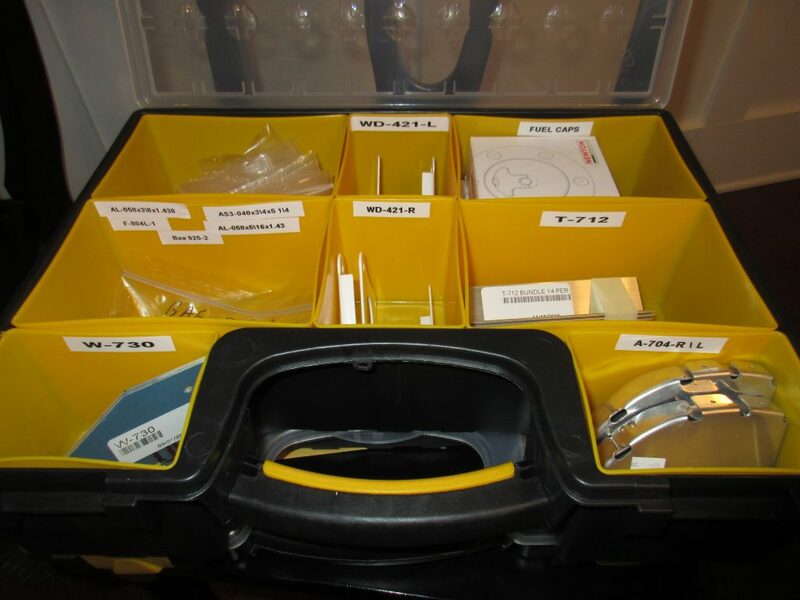 For all the other small bits and pieces, I used a medium case and a large case. I was able to fit about 90% of these small parts in the cases, so it’ll make it easy to keep track of them until I need them.